Have you ever used oven-baked sculpting clay? 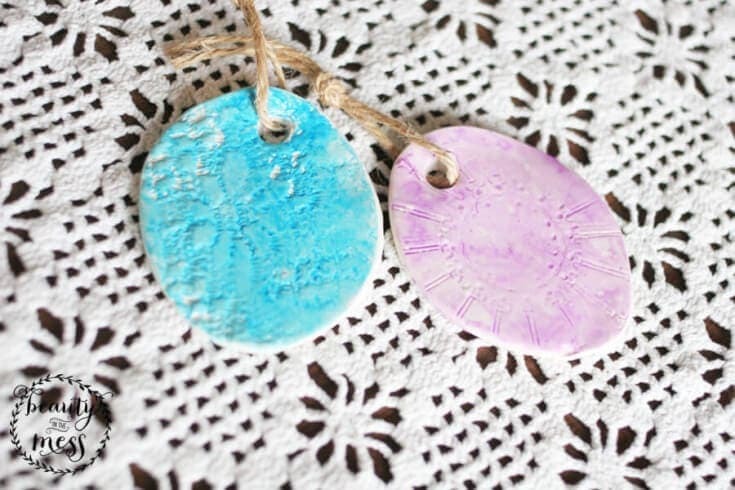 It’s one of my go-to crafting materials because it is versatile and kid-friendly. We have made everything from personalized Christmas ornaments, to a ring dish, and even a mini-chalkboard. Today, I’ll show you how I use this handy crafting material to create clay Easter egg decor with the kids. Crafting always encourages learning. When a child crafts, they learn the art of ingenuity. Each of these clay Easter eggs will be unique because the child will get to make impressions in the clay with every day, around-the-home, materials. Then, they’ll finish the project off with watercolors that highlight the textures that they created in the clay. 1: Preheat the oven according to the directions on the oven-bake clay package. 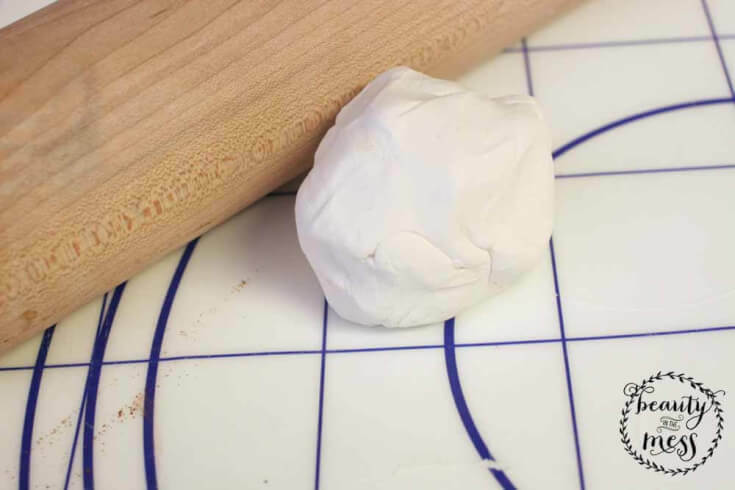 2: Knead the clay in your hands until it is softened and roll it into a ball. 3: Prep a surface to flatten the clay upon, making sure it is free of crumbs, dust, or other debris. 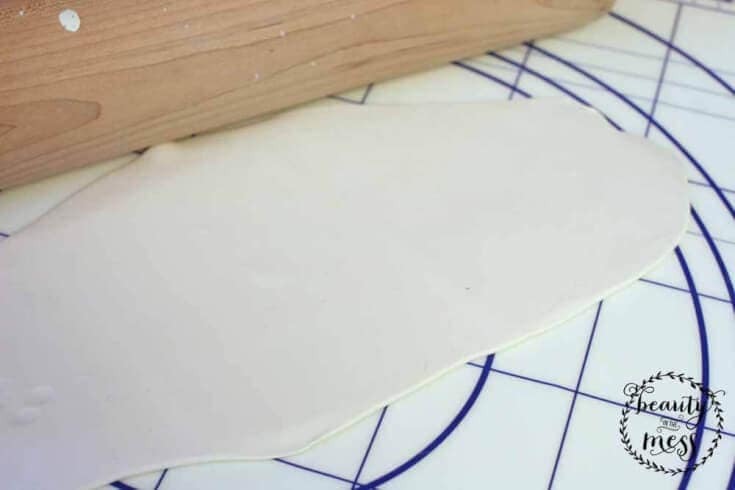 4: Flatten the clay to approximately 1/4 inch thick using a rolling pin. 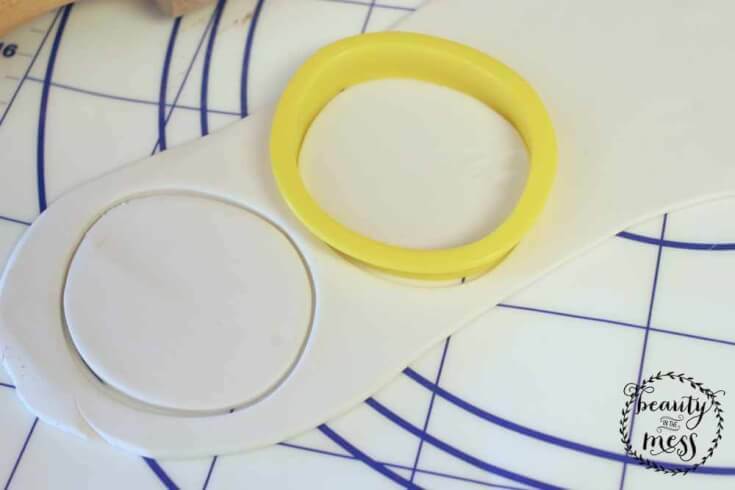 5: Cut out egg shapes with a cookie cutter. You could also freehand the egg shape and cut it with a knife. 6: Use a drinking straw to make a hole in the top of the egg for hanging. 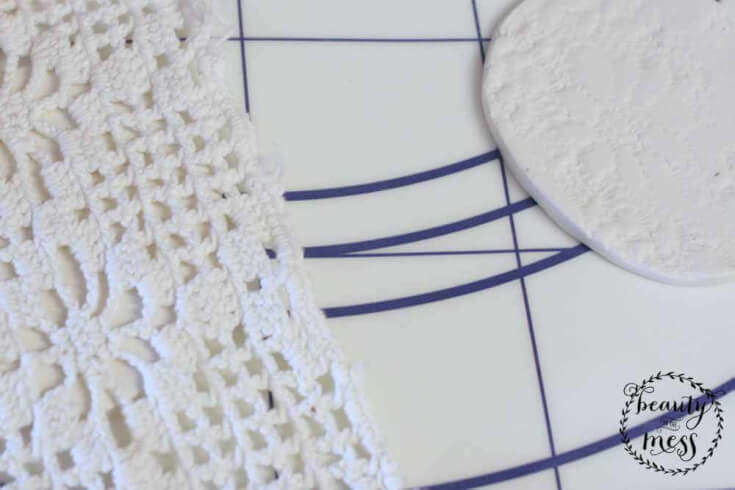 7: Make impressions in the clay with dimensional household items, such as lace or a decorative glass plate. 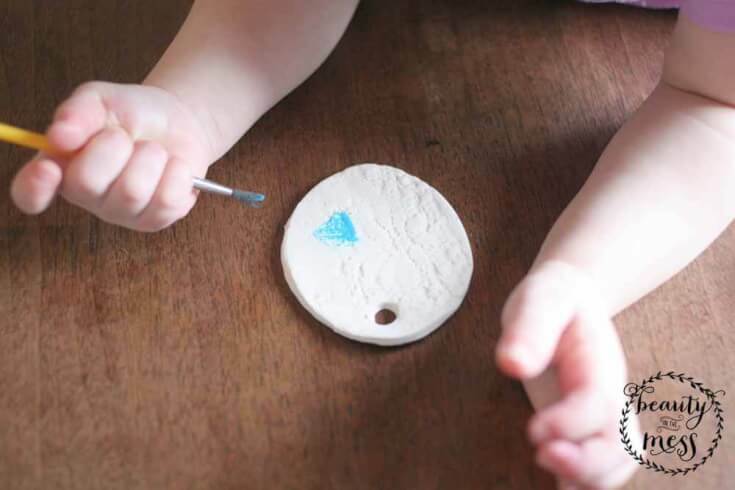 Let the kids get creative with this step, searching the house for 3D items and making impressions in the clay. The learning happens when they explore! 8: Lay the eggs on a cookie sheet covered with aluminum foil. 9: Place the eggs in the oven according to the directions on the oven-bake clay package. I use Sculpey Clay, which calls for 15 minutes at 250 degrees per 1/4 inch of clay. The clay won’t be rigid once baked, but it will be solid. It’s tempting to cook it longer, thinking it should be more rigid. However, that will start to discolor the clay and give it a yellowish tint. 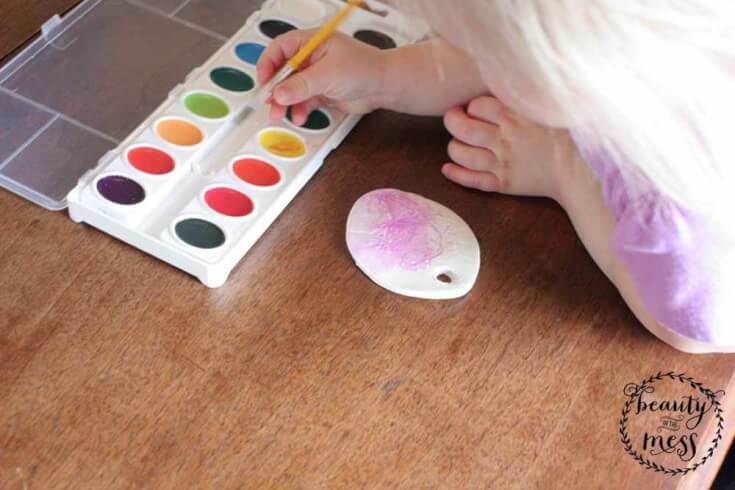 10: Once cool, let the kids use watercolors to paint their Easter eggs in springtime hues. 11: Finally, string twine through each Easter egg and it’s ready to display! How adorable are they, right? My kids are so proud of their handiwork. We haven’t decided whether to hang them from an Easter Tree or to create a garland and hang it below the mantel. We’ll still be dying Easter Eggs this year, but this activity will last for years to come. Make it personalized for your family, impress letters for each person’s name, or find items in nature to press into the clay. Get creative! 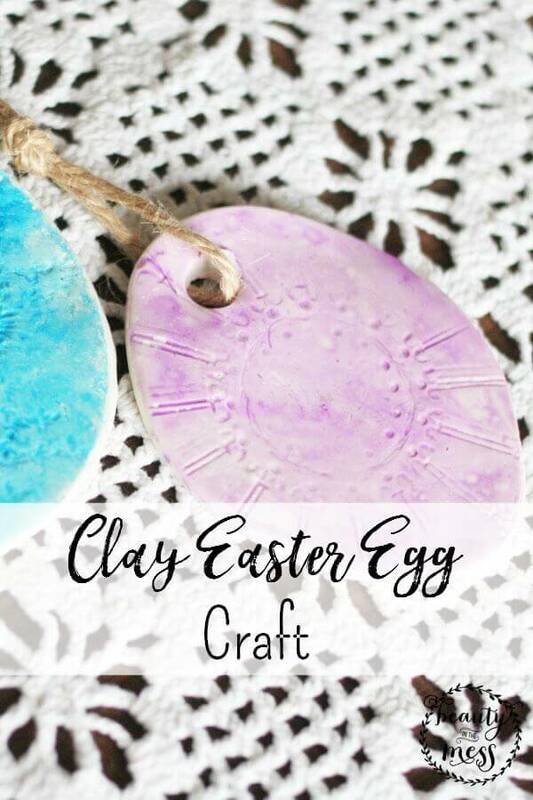 What unique item would you press into your clay Easter eggs? Aww they are SO cute Lora! The perfect craft for little kiddos. My kids would love making these!